[0:04] <julius_> with a fast sd card, is there a pi that can boot <5s without gui? [0:11] <julius_> humbot, whats a sansa clip? [0:12] <redrabbit> anybody tried to suspend the rpi3 ? [0:12] <julius_> so whats a goot boot time for a rpi? [0:14] <Lartza> julius_, "Startup finished in 2min 49.614s (kernel) + 15.179s (userspace) = 3min 4.793s"
[0:14] <Dave666> Yeah, I don't think I'll be installing Epiphany - it wants to install 245 packages to install it - haha! [0:15] <Lartza> Epiphany isn't supposed to be light though? [0:16] <Dave666> It needs 421MB of disk space to install - hahahaha! [0:21] <Lartza> julius_, Why can't you just run your Pi 24/7? [0:21] <Dave666> I dunno, with a class 10 SDCard, I have a Pi running as a radio that takes around 10 seconds to boot. [0:22] <Dave666> Is yours a class 4 card? [0:23] <Dave666> I think class 10 is about the maximum the Pi can make use of. It's limited by the bandwidth of the chip anyway. [0:24] <Lartza> ali1234, What's wrong with 15 seconds? [0:24] <ali1234> Lartza: its really slow? [0:24] <Lartza> ali1234, Full graphical os like with Gnome or KDE? [0:24] <redrabbit> anybody used sleep mode on the pi? [0:27] <julius_> ali1234, what kind of sdcard do you use? [0:28] <redrabbit> julius_: do you know how to wake up from suspend ? [0:29] <Dave666> Weird thing is that I can't boot Linux from my M.2 drives on my Z170 motherboards. I have to boot from SSD anyway, which is a shame. [0:30] <redrabbit> julius_: avrdude is like arduino without gui? [0:31] <redrabbit> inotool, i have to try this, is it in the repos ? [0:32] <redrabbit> so you can upload arduino libs from the cli with it? [0:32] <Dave666> Lartza: Yeah I have a 980Ti watercooled on my work PC - great card. I probably wouldn't have bought a new one except I needed more GPU RAM. [0:36] <redrabbit> its C right? [0:37] <julius_> redrabbit, you german by any chance? [0:40] <julius_> redrabbit, the hc05 modules dont have that problem, they are "bluetooth"
[1:37] <ShorTie> got it enabled in raspi-config ?? [4:03] <Limix> Any tips on a connector type that is pretty snug, something easy like lightning cable, I need 4 wire connector. [4:09] <Limix> why isn’t USB-C available? [4:11] <Limix> I’m just stripping the wires open anyway, is the connection really snug? [4:11] <Limix> Is it a digital cable like the lightning connector? [4:13] <hmoney> what about a POTS connector? [4:21] * hmoney suggests we play "spot the guys in the channel using the irc bouncers"
[5:48] <Peppi> can you play youtube channels on a Pi1? [5:51] <Peppi> this on Noobs or something? [5:51] <Peppi> there is an addon for youtube on OSMC? [5:57] <Peppi> hey I see a pbs kids addon has anyone used that? [5:59] <Peppi> hey it says I have the youtube plugin installed... how to I look at videos? [7:02] <beek> raspberian have python3? [7:05] <beek> oh then i must install ubuntu Mate instead of raspbarian? [7:38] <Peppi> is there a way to tell your network usage on a pi? [7:38] <Peppi> you tube is stuttering and trying to figure out why? [7:39] <Peppi> not sure how to I tell / change that? [9:14] <Peppi> hmm the wireless to the device looks to be working fine (I can stream from the NAS to the Pi 1080p no problem) but the youtube addon still studders anyone know why this is? [9:19] <viju> What kind of SD card should be great? one marked 10 or 1? [9:22] <viju> It's for raspberry pi. [9:23] <Stromeko> Class10 is OK, U1 is roughly the same (the Pi can't tell the difference). You'll want one that is good at random short writes, this is less easy to figure out. I've had good experience with Samsung Evo+ (16GB and 32GB) and Toshiba Exceria (32GB) The latter is actually U3, but it doesn't matter for the Pi. [12:09] <HrdwrBoB> kerio: the evo+ ? [12:14] <redrum88> HrdwrBoB, where do you usually buy it? [12:23] <Stromeko> kerio: Not around here, they are priced quite reasonably for what they deliver. Yes I can get cheaper (not that much), but they are typically a lot slower at random access. [13:32] <r0ck> does anyone run openVPN for like 10+ computers? [13:32] <r0ck> I mean openVPN server on RPI2? [13:38] <oq> r0ck: 10 computers connecting through a single 100mbit nic? [13:41] <RoBo_V> how many pwm pins does rpi3 has ? [13:44] <kerio> but it calls both bcm18 and bcm12 "pwm0"
[13:44] <r0ck> oq: yes throug a single 100mbps? [13:46] <RoBo_V> kerio: GPIo 18 and 27 both PWM ? [13:47] <RoBo_V> HrdwrBoB: ofc we need transistor switching for higher loads, I need to drive DC fAN BTW. [13:57] <kihis> umm!can i run triac with pwm pin? [14:20] <gordonDrogon> there are 2 hardware PWM outputs on the 40 pin connector. [14:21] <gordonDrogon> kihis, yes with the appropriate interface circuitry, if you like making life complicated, however make life easy and use an SSR. they're also opto isolated and do zero crossing switching. [14:27] <phil42> how fast will a bog standard ssr switch? [15:13] <thpar> Hi all. I'm having troubles enabling wireless on my Pi3 on a Fedora Minimal install. Does anyone have know of a good guide? Which firmware, drivers, ... do I need? [15:18] <thpar> ShorTie: It's not even very clear which chipset I'm looking for here. Could it be a Broadcom 43xx series WLAN chip? [15:36] <thpar> ShorTie: just discovered that that list you gave me is in `/lib/firmware/brcm/` and seems up to date. [15:38] <thpar> any idea how to get wlan0 to show up then? Maybe I'm missing some basic knowledge here. [15:50] <petn-randall> Can anyone tell me what the plastic wheel is for in the camera module? I assumed it's supposed to clip on the lens, but it doesn't fit. [15:53] <BurtyB> err plastic wheel? [16:03] * petn-randall fiddles is back in again. [16:13] <kihis> thpar: is there some reason you are going with fedora instead of raspbian? [16:17] <viju> Is there any issues if I install other OS such as Ubuntu? [16:26] <viju> I'd stick to the default configs then. [16:26] <kihis> viju: is there some reason to not to go with raspbian? [16:30] <viju> kerio: I did not order a heatsink. Is it even required? [16:31] <viju> I have bought a official raspi case. The red-white case. [16:35] <viju> I am just going to create some home automation stuff. At the moment just focusing on switchin on and off an LED and eventually the room lights. [16:36] <viju> Which part is expensive? [16:39] <daedius> Hey all, noob question for an raspberry pi zero w owner. I recently got this in the mail, plugged in mini sd supposedly pre-installed with some form of NOOBs, put in power usb, hdmi, usb keyboard, but when I plugin in the power to the wall, I see no lights or anything. Any thoughts? [16:40] <daedius> thanks, will do! [16:41] <kihis> btw. is there any android app to record a video and put it on imgur or some else public image sharing service? [16:41] <viju> kerio: I actually am thinking of using to switch on a water pump which is around 10kms away from my home. One has to manually go and turn it on and stay there for like an hour and then switch off. Do you think what I am prototyping can help use it for that? [16:42] <kerio> "turn on the water" "ok boss" "ok now turn off the water" "error lol"
[16:43] <leftyfb> kerio: "it's not a desktop computer, don't treat it as such"
[16:44] <viju> Then one has to run back to the farm and turn it off manually lol. [16:48] <gear4> why's webmin so slow on raspbian ? [16:50] <leftyfb> gear4: because it's trying to do too much on a slow system. Why do you think you need webmin? [16:52] <leftyfb> gear4: why don't you have ssh? [16:53] <leftyfb> so because you failed to get something to wokr, you install an entire ecosystem to work around it? [16:53] <leftyfb> gear4: why doesn't ssh work? [16:54] <leftyfb> are we going to play this game? [16:54] <leftyfb> gear4: care to explain to us why you disabled ssh and why you think webmin is better for your needs? [16:55] <leftyfb> gear4: do you mean you don't have an ssh client on your computer running Windows? [16:55] <leftyfb> gear4: what do you use? [16:55] <leftyfb> then you do have a "terminal"
[16:56] <gear4> I disabled vconsole, what do you want me to do ? [16:56] <gear4> enable it agaimn ? [16:57] <gear4> jeez dude are you getting salty bc I asked why webmin was slow ? [17:01] <kihis> gear4: tell me how vconsole is needed to ssh? [17:06] <gear4> kihis, so you say that my only solution is to re-implement the vconsole module into my kernel and use SSH ? [17:07] <kihis> gear4: is it some kiosk computer with just browser enabled? [17:07] <viju> kerio: it's a complex scenario. One has to determine of the field has had enough water then they can turn it off. So, some visual information is required which is not possible without spending more on camera and stuff. [17:08] <kerio> and what about just overestimating the amount of water required? [17:11] <kerio> that is... unrelated to ssh? [17:12] <gear4> look for "virtual consoles"
[17:13] <BurtyB> and how did you remove them? [17:13] <leftyfb> he's talking about the vtconsole driver in the linux kernel. He recompiled his kernel to disable the drivers that allow "virtual" consoles and has no ability to bring up a new tty. He obviously knows enough to hurt himself yet will argue till we're all blue in the face that he can't do what he needs because he purposely disabled it. [17:14] <leftyfb> gear4: use putty .. I'm pretty sure that doesn't use a virtual console. Otherwise, you have limited yourself. You know this. We cannot help you. [17:15] <leftyfb> gear4: I only told you once and quickly realized you're a troll and have no interest in asking for the help you need to work around the environment you yourself have created. [17:16] <Stromeko> gear4: so then your only way in if ssh doesn't start up is via the serial console, unless you've disabled that also. [17:16] <leftyfb> kerio: if you disable the vtconsole driver in the kernel, there's no virtual terminals. Just one. Think Windows. [17:17] <leftyfb> kerio: all of those create a new session in a "virtual console"
[17:17] <Stromeko> gear4: HDMI is not an input channel. Without a virtual console any keyboard input you connect to the pi is useless as far as the console is concerned. [17:18] <leftyfb> gear4: do you have any interest at all in using an ssh client? [17:19] <Stromeko> If X11 does start, then great you don't need the console, if not, then you're hosed. [17:22] <kihis> "i hAx'd my computer!!! !1"
[17:22] <gear4> jeez I asked for why webmin was slow and now I'm a script kiddie trying to be cool ..
[17:23] <gear4> and suddenly I'm trolling ? [17:25] <gear4> how doesn't my needs make sense ? [17:27] <leftyfb> gear4: next time, try to be a little more forthcoming before wasting people's time. It took exactly 8 questions to you with basically 1 or 2 word answers from you before coming to the conclusion that you have created an environment that limits what you can do, yet you failed to explain any of this in detail. [17:29] <leftyfb> gear4: Then I apologize for answering your initial question and failed to not care and leave it at that. [17:32] <AndreiC7> Hi guys. I'm rying to connect my pi to my laptop using ethernet but I cant install tightvncserver using putty. Is there any way to install it manyally by copying the files to the SD card? [17:33] <leftyfb> AndreiC7: Have you tried connecting your pi to your router and ssh'ing to it? [17:34] <AndreiC7> I haven't tried that. I connected directly to the laptop using an ethernet cable. [17:35] <kerio> how was it supposed to get internet? [17:36] <kihis> AndreiC7: oh. does it work if you ping 8.8.8.8 from pi? [17:39] <kihis> AndreiC7: which os do you use at laptop? [18:04] <Tatou> What are some cool uses of a pi? [18:04] <Tatou> By cool, I mean actually useful, that I can use in my flat. [18:04] <Tatou> Yes. I will use it for media. What else? [18:11] <Tatou> kerio: It's one of those things that spins..
[18:13] <Ivoah> Is it possible to use a bluetooth keyboard with the raspberry pi just on the framebuffer console? [18:18] <SpeedEvil> BT in the past has been really annoying to configure. I would be surprised if it's in 'just works' state. [18:19] <leftyfb> SpeedEvil: I have a friend who easily setup his BT keyboard on a console-only pi. [18:38] <ali1234> shiftplusone: can triggerhappyd use the GPIO or is it just for keyboard events? why is it installed on jessie lite, and what exactly is it used for? [18:42] <gordonDrogon> and from what I gather, it uses /dev/input* type devices. [18:43] <gordonDrogon> I tend to remove it on my installs. [20:51] <fred1807> how to make xorg use GPU ? [21:24] <ali1234> i think this is the simplest way to make buttons "do stuff"
[21:34] <gordonDrogon> possibly. unless you don't run systemd. [21:51] <gordonDrogon> it still depends what you're used to. systemd is still very new to a lot of people. on my Pi's that I want to do stuff from a shell script to e.g. run halt, I simply have one shell script per function. [22:24] <fred1807> is dtoverlay=vc4-kms-v3d installed in kernel model already or I still need to recomple the kernel? [22:40] <Sleepnbum> Are there any performance differences between running raspistill vs picamera? [22:43] <Sleepnbum> ^ what causes that delay? 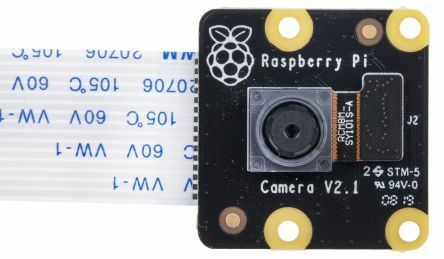 [23:01] <UnderSampled> Been looking a while now, but no good answers :/ What is the recommended minimal image to use on an rpi 3, where I'll set the wifi password on the sd card, then ssh to set up a webserver? [23:04] <[Saint]> UnderSampled: Raspbian Lite offered right off the DL page. [23:04] <[Saint]> ooooh, beaten by 5 seconds. [23:04] <[Saint]> Curse my verbosity. [23:12] <ali1234> gordonDrogon: gpio mode up/down imply in right? [23:14] <gordonDrogon> ali1234, no - it just fiddles with the internal pull up/down resistors. [23:14] <UnderSampled> ok, how do I do the wifi bit? [23:15] <[Saint]> note: this may not help you. [23:16] <[Saint]> There's edge cases where you just plain _can't_ set up wifi from the sdcard on a fresh boot. [23:16] <[Saint]> the wifi locale is set to GB, so if you're in a locale that has extended channels, and your AP is using them...obviously it'll never see it. [23:26] <[Saint]> While you're not wrong, I generally prefer the safer route. [23:26] <[Saint]> Perhaps it's a crap view to have, but I kinda feel like if you're asking the question, you're probably not going to have the necessary skills to manage or secure such a minimal environment. [23:26] <[Saint]> It's a fine line, learning is good, but so can sometimes aving an end user from themselves be. [23:27] <redrabbit> and you can block ssh without key, put your ssh key..
[23:28] <[Saint]> I have one that's pretty much just kernel, tiny initramfs, and busybox. [23:28] <[Saint]> you'd need to do serious work just to get package and user management. [23:36] <[Saint]> redrabbit: I take it you mean "secure", because I sincerely doubt it doesn't everything /I'd/ do to have a properly secured box. [23:36] <[Saint]> "secure" as in "general, end user secure"
[23:37] <[Saint]> Not "secure from a multi-faceted standpoint" secure. [23:38] <[Saint]> I'd be happy to talk about some of the more esoteric mitigation techniques if you like. [23:41] <[Saint]> noexec /tmp, and /dev/shm are too large ones. And bind mounting the other various */tmp's that may exist to /tmp are a good start. [23:42] <[Saint]> RO /usr never hurt anyone either. [23:43] <[Saint]> but RO /usr management requires a wrapper. [23:43] <ali1234> what if / is a ramdisk though? [23:44] <[Saint]> well, then the values will be superfluous. but it won't hurt anything. [23:44] <[Saint]> I don't think / ever has any way of knowing if it's tmpfs or not? [23:45] <[Saint]> Hummm...I guess it might at higher levels. [23:45] <[Saint]> Either way, putting in default fstab entries for /tmp and /dev/shm won't break the world. [23:47] <[Saint]> You can also set apt.conf.d/* to manage RO /user, but same with noexec /tmp it'll need a wrapper script or to be poked manually if you want to write or execute from there outside of dpkg. [23:47] <[Saint]> ...which you shouldn't realistically be doing. [23:47] <[Saint]> Well, this depends on the use case, but I'm still talking "end-user-fit" here. [23:48] <[Saint]> Yeah, see, I'm still talking about securing it for an end-user-fit purpose. [23:48] <[Saint]> It's possible to walk a line down the middle of secure and user-fit. [23:48] <[Saint]> ...difficult, perhaps, but possible. [23:49] <[Saint]> If you haven't read it already, it's worh going over. Even if only as a refresher. [23:49] <[Saint]> For yourself I imagine a lot of it would be "duhhh..." stuff, as it is me. But I still occasionally notice things and learn from it. [23:50] <[Saint]> A great deal of it is what I feel to be common sense, though. [23:50] <[Saint]> But Debian waters down common sense for usability. [23:50] <[Saint]> They have since...forever. [23:51] <[Saint]> People just starting out will probably get the most use out of the PAM and cgroups sections. [23:52] <[Saint]> As well as the 'mounting partitions correctly' chapter. [23:53] <[Saint]> it's also well suited for managed systems. auditing multi-user boxes. [23:57] <[Saint]> now there is!